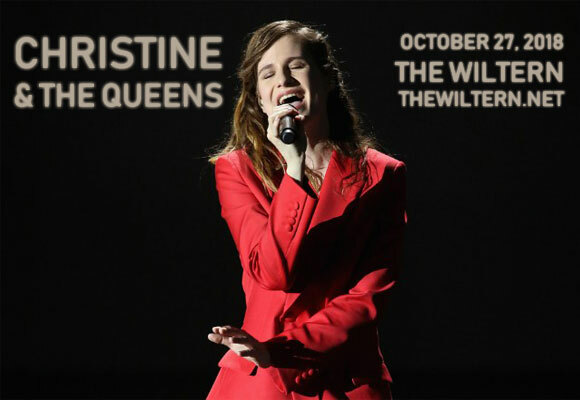 French, genre-bending, androgynous force of nature Christine and the Queens (aka Chris) comes to The Wiltern on Saturday 27th October 2018! Promoting her upcoming album, Chris is embarking on a new chapter both musically and as a performer, so get ready for an unforgettable night of boundary-breaking art-pop from this singer and dancer extraordinaire! Christine and the Queens is the stage name of French singer, songwriter and producer Héloïse Letissier, aka Chris. Miséricorde, Chris' debut EP, was released in 2012 and led to her touring that year as the opening act for Lykke Li, The Dø and Woodkid. Two years later she released her debut studio album, Chaluer Humaine (English: Human Warmth), which was re-released in English in the UK in 2016. Chris made her English-language debut with Saint Claude (2015). The EP launched the single “Tilted,” which became a Top Ten hit in the UK and Ireland, and was named one of the ten best songs of 2015 by Time magazine. Her re-release of Human Warmth peaked at number 2 on the UK albums chart after a well-received set at Glastonbury Festival. The album is certified diamond in France, platinum in Belgium and Switzerland and gold in the UK. Chris, her second studio album, will be released in September 2018 in French and English.